Can a Person Remove His Name From a Bond & Put Someone Else's Name on It? 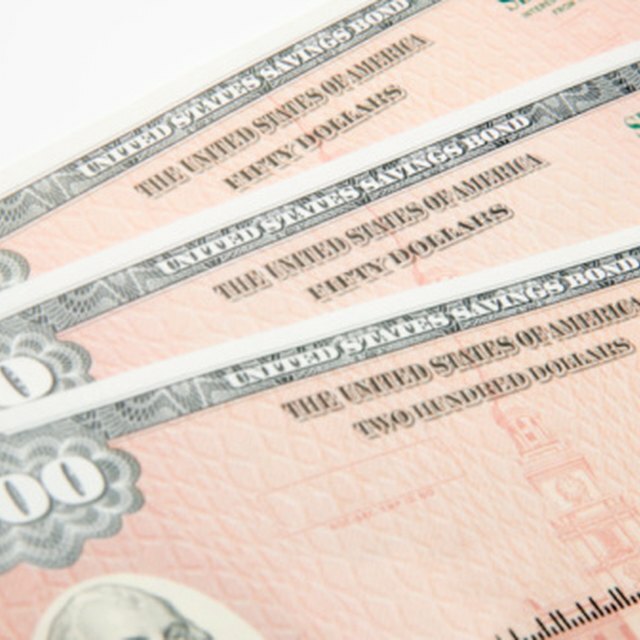 The U.S. Department of the Treasury offers several types of savings bonds, including Series EE, Series E, Series I, Series HH and Series H bonds. Each bond is registered to the buyer and bears the name of the individual. If the owner wishes to give the bond to a beneficiary, he may have it reissued so that the name on the face of the bond is that of the new owner. The process is straightforward. The rate of interest and the date of maturity remains the same when the bond is reissued. Savings bonds are designed to stop earning interest when they mature. A bond cannot be reissued if it is close to its maturity date. Such bonds must be redeemed, according to Jane Bryant Quinn, author of “Making the Most of Your Money Now.” The date of maturity is 30 years from the issue date for Series EE, E and I savings bond and 20 years from the issue date for Series HH and H bonds. The U.S. Department of the Treasury provides two reissue forms: Form PD F 4000 and Form PD F 1851. Individuals who wish to transfer a savings bond to another individual may use Form PD F 4000. Owners who wish to reissue the bond to the trustee of a personal trust may use Form PD F 1851. Applicants may download the form from TravelDirect, the U.S. Department of the Treasury’s website, or contact the office to receive it via mail. Applicants can also obtain the form from a bank that sells savings bonds or a regional Federal Reserve Bank. The Department of the Treasury requests various pieces of information on the reissue form. These include the original owner's name, Social Security number and address; the issue date, face amount and number of the bond; the name of the new owner and the reason for reissue. The individual must sign the form in the presence of a notary public and have the officer certify the reissue form. The form includes the address of the office to which the applicant can mail the application. Individuals who reissue a savings bond to a new owner are liable for taxes on the accumulated interest up to the date of the transfer. There are no tax liabilities if the original owner makes the beneficiary a co-owner, according to Jane Bryant Quinn. Also, there are no taxes if the original owner reissues the bond in the name of the trustee of the owner’s personal trust.